In Swaziland, we have one mobile phone service provider, MTN. Another provider is set to begin operations this month. For many years, if someone wanted to make a cell phone call, text, or use mobile data, they would have to purchase a Swazi MTN SIM card. 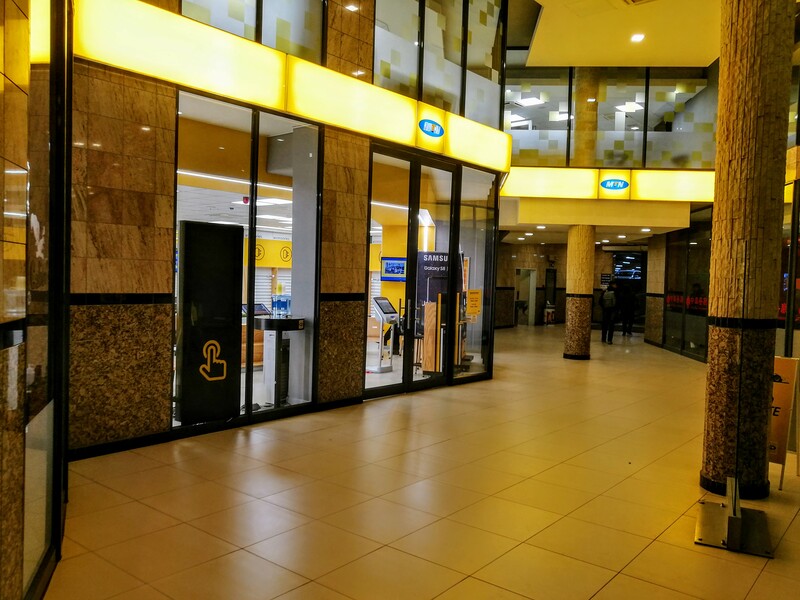 While MTN mobile service is available in other southern Africa countries, the lack of competition means higher prices than in neighboring South Africa. MTN does occasionally offer bonuses and customer appreciation specials. During last summer, there was a customer appreciation week. There are some corporate MTN stores in major cities, but you can purchase airtime just about anywhere. The picture above is of the corporate store in Mbabane. As far as coverage, it depends on where you are. In my homestead during pre service training, coverage was bad on a good day. Other days, it was nonexistent. At my current homestead, I’m rarely without coverage. For that, I’m thankful. We’ll see what changes the new mobile service provider brings to the landscape in the kingdom.